For businesses, X factors can be the secrets that allow them to live forever if they respond correctly. 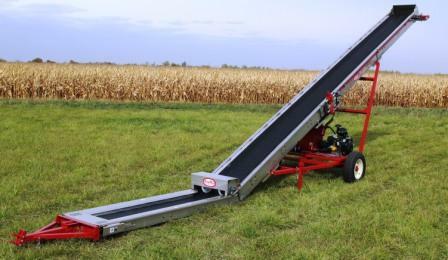 After 118 years, Wardcraft Conveyors in Michigan is proving it can make a lasting meal out of efficiency. The company designs, builds and manufactures conveyance systems. In 1897, a physician who was active in the milling industry opened a grain elevator that sorted and processed grain, feed and seed. But right after that, they added corn, oats, wheat, and navy beans to its output. They actually had underground molasses tanks that used to mix feed with grain, load and unload it from trains. The company spent the next several decades earning more popularity for its complex, maze-like system that would sort, clean, and polish billions of pounds of agricultural goods. By the 1960s, the company had begun investing its resources in producing customer conveyors for local customers. In 1950, they sold the grain elevator developing business, expanded and began to make and sell processing equipment to grain elevators instead. They also started manufacturing custom conveyors for local customers. By the 1970s, the company developed its signature system, the Slug-Vayor which designed for the metal stamping environment to carry away slugs, parts and scrap created by die presses. With this Slug-Vayor, the company started to gain reputation. Nothing ages without growing pains, but that doesn’t require a company to necessarily become the biggest in its industry. Since the birth of Slug-Vayor, Wardcraft now has a line of specialty conveyor models and continue to build custom-made conveyors and quick die change systems, which the company introduced in 1980s.